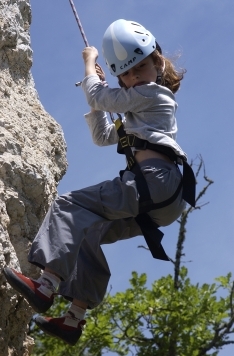 The sporting opportunities in the Lot are almost too many to mention: caving, climbing, golf, paragliding, cycling on ATB ​​routes and regular routes. 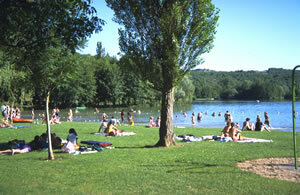 Except in the pool at La Velle, you can also swim in the area in several lakes, including in Cazals, Frayssinet-le-Gelat and Gourdon. 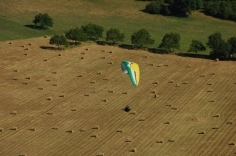 On the site www.tourisme-lot.com/en (also in English) you can find all information. These are two prehistoric caves a few kilometers from Gourdon. The hill where the caves are, is freely accessible. The caves themselves are only accessible with a guide. The first cave is a dry cave, which features several special stalactite and stalagmite formations. However, the most interesting cave is cave two. In this cave can be found about fifty pre-historic drawings of aurochs, horse, bison and some abstract figures. What makes the cave of Cougnac special is that it is one of only three caves in southwestern France, which shows an image of a human. The drawings in the cave of Cougnac are made by the Cro-Magnon man who lived in this part of France. Cougnac falls into the same category as the drawings in the caves of Lascaux and Pech Merle. Gouffre de Padirac near Martel: after you descended with a lift, you will be taken in a boat along the various impressive caves. The tour ends in the main, a cathedral-like cave, breathtaking! 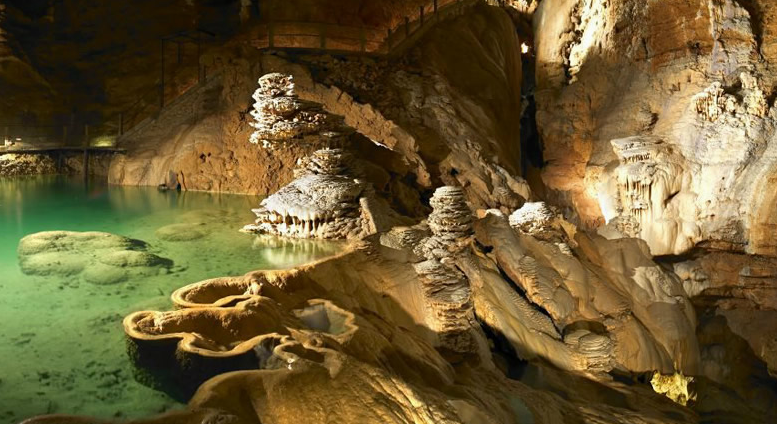 Grotte de Rouffignac near Sarlat: is also called the cave of the hundred mammoths. There are pre-historic drawings of mammoths, horses etc.to be seen. Through the cave, which is eight kilometers long, runs an electric train. 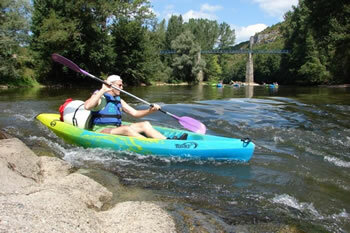 Canoeing is possible near the rivers Lot, Dordogne and Cele.